Southwest Research Institute has developed a high-reliability, high-voltage optocoupler for spaceflight applications. NASA has selected the device as a power interface between the Europa Clipper spacecraft and three instruments aboard, bound for Jupiter's moon Europa in the next five years. The power converter, developed with internal funding, overcomes reliability problems similar systems have had operating in space. An optocoupler, also known as an opto-isolator, transfers electrical signals between two isolated circuits using light, in this case an array of LED sources. The SwRI device enables 15 kilovolts of isolated, low-voltage control for space instruments operating at up to 10.5 kV. "Operating in conditions from -40° to 100° Celsius, our power converter is ruggedized to withstand the rigors of launch and adverse radiation conditions in space," said Carlos Urdiales, a senior program manager in SwRI's Space Science and Engineering Division. "In addition to being able to withstand the radiation environment around Jupiter, our optocoupler is fast, stepping from 0 to 10 kilovolts in 23.4 microseconds. The half-inch package weighs less than 4 grams and has a radiation tolerance in excess of 100 kilorads." The high-quality device offers high reliability and long life in a relatively small footprint, which is critical for space applications. The optocoupler is being integrated into the MAss SPectrometer for Planetary EXploration (MASPEX), the Plasma Instrument for Magnetic Sounding (PIMS) and the SUrface Dust Analyser (SUDA) instruments for the Europa Clipper mission. SwRI's optocoupler will help power astrobiology examinations to understand the moon's subsurface sea and potential habitability as well as characterization of its atmosphere, ionosphere and magnetosphere. 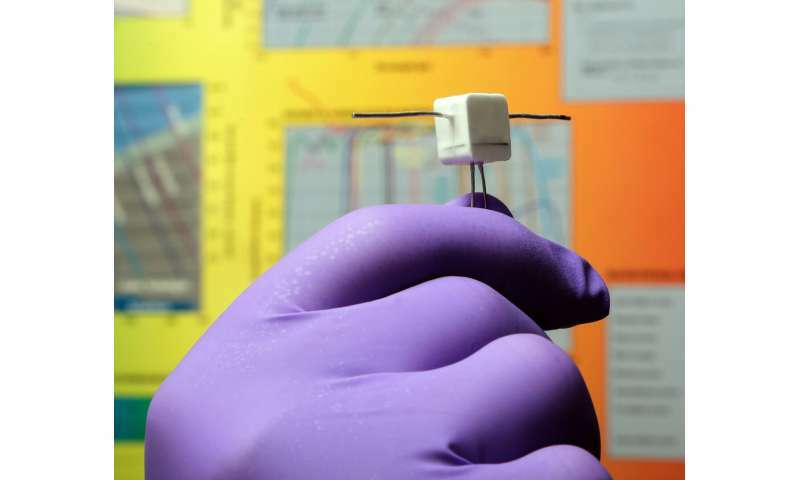 "SwRI can configure the device to suit a range of applications," Urdiales said. "We deliver increased reliability through redundancy in the high-current 2 Amp LED array, which provides a lightning fast stepping rate." In addition to resisting radiation damage, the LED array inhibits "zener noise" associated with uneven illumination of the multi-junction high-voltage diode. SwRI manufactures the optocoupler to eliminate defects and associated discharge, backed up with an internal electrostatic discharge protection diode, and it is designed to prevent failures associated with the frigid environment of space. "SwRI's SW1001502 octocoupler is a highly reliable choice for high-voltage electrostatic analyzers, deflectors, bias and custom stepping power systems," Urdiales said. "It can also be used as a high-voltage linear control element, a current source or an operational amplifier output stage."